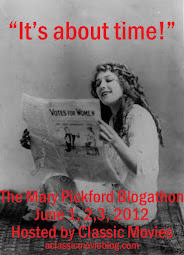 The setting is New York City, during Prohibition, and Fay Wray is on the verge of stardom. King Kong is about to premiere at Radio City Music Hall, but the actress is troubled by blackmailers who claim to have racy pictures of her in settings from the film. Enter Jimmy Quinn, proprietor of a humble speakeasy, acquaintance of gangsters and police detectives alike. This third mystery in Michael Mayo's Quinn series goes to places far beyond this initial set-up. It's an engrossing story, though not necessarily an ideal fit for classic film fans. Quinn is a likable character, making do with short stature and a limp; compensating for those shortcomings with a sharp wit and survivor's mentality. Given his lifelong association with crime, he's almost a bit too good, with a moral compass that would likely not be so sure given the scuzzy characters in his past. He's got enough grit to keep you with him though. As an enthralling interview with Wray inspired Mayo to include her in a mystery, it's a bit surprising how thin her character is here. You get a bit of her personality, like the way she says "golly" and her innate dignity, but for the most part this could be any actress. It's also difficult to engage with her distress, as the reason she's being blackmailed never inspires a true sense of peril. While there are some intriguing period details, the milieu is not quite detailed enough to make you feel as though you are in a different time. The rhythm of the dialogue and the profanity have an almost modern feel. However, I think this approach could appeal to some kinds of classic film fans, though others could be turned off by the raunchier elements of the plot and language. Here's the acid test: if you like TCM, but feel horrified by TCM Underground, you might want to give this one a pass. If you like both, then this is your read. 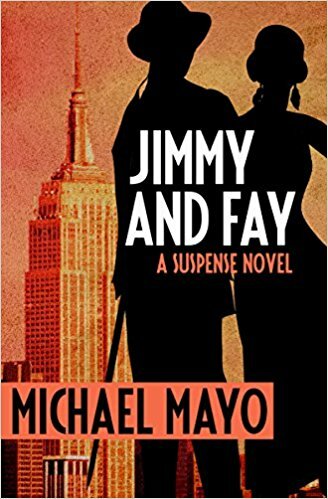 As a straight-ahead suspense novel, Jimmy and Fay is enjoyable, with touches of humor, sharp dialogue and unpredictable twists and turns. Sometimes the pay-off for the various mysteries of the book can be a bit underwhelming, but the strength of the characters picks up the slack. I felt engaged enough with the Quinn character at the end to want to read the previous mysteries in the series. He's good fun. Many thanks to Saichek Publicity for sending a copy of the book for review. I'm one of those that love TCM, but "feel horrified by TCM Underground"(an apt word for it). And I despise when that slap modern crudity onto situations of the past to "make it more relatable". Recognizable conflicts, motivations, and characters are what make things relatable, something classic storytellers knew, modern storytellers not so much. Thank you for an honest review, that didn't gloss over anything. I'll give this one a wide berth.